← how dare you? how fvckin DARE you? 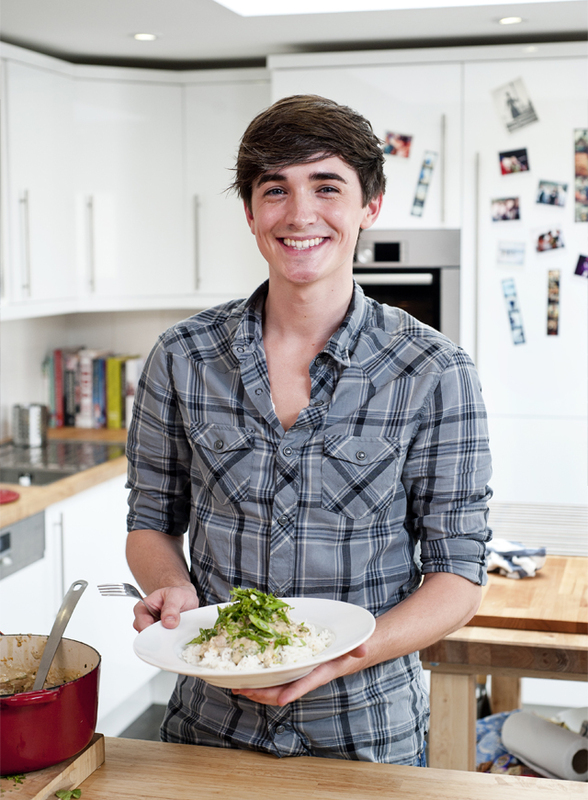 In one episode, Donal is preparing a romantic meal for his girlfriend. Yes, some people may be surprised at this revelation but she will surely be wowed with his seafood starter, chicken tagine and blueberry cheesecake. He works very hard in the kitchen to create this three course spectacle – she’d better appreciate it. OK, so I’m intrigued to meet this lucky lady. Will she be equally adorable and exuberant with doe eyes and cheeky grin? Ooh, the door bell goes just as he plates up his seafood. “Perfect timing! As always ;)” he exclaims. Cut to credits. NOOOO!!! Our host’s culinary creations throughout the series are reasonably basic, something everyone can at least attempt at home and his vivacity is almost contagious. His coleslaw now complete, he looks up at the camera and declares “look at THAT! That’s exciting. ISN’T IT?!!!! 🙂 ” Yes, Donal, it actually IS! “I bet he makes meringue more often than he shaves.” BOOOOM!